Houses in France for sale by the owner. Property ads with many pictures and detailed descriptions. Click here to sell your house. 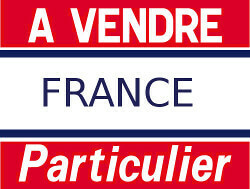 Are you looking to buy a house in France? Or maybe searching for a villa, château, holiday home, B&B or other property for sale by the owner? On Immogo, only private owners present their property for sale in France. We aim for the highest quality French property ads. With many pictures, clear descriptions and even an owners' blog. Are you ready to save thousands on agency fees and deal directly with the owner? Use the search engine to make a selection. Get your own property presentation page on Immogo, an international multi language site with over 30.000 visitors and 100.000 page views a month.